If a carpenter or a plumber requires a set of tools, so do a blogger. Can't believe it-eh? You are wondering what more a blogger should have apart from the computer and the keyboard. Online writing is different than offline writing. To compose a blog involves researching for proper images, videos, quotes and phrases apart from the usual spelling and grammar checking tools. Moreover, a professional blogger should have effective traffic tracking tools. Speaking of the resources that blogger needs, content ideas and resources come to my mind first. Ah yes, one should have plenty of resources and tools to promote his blog. 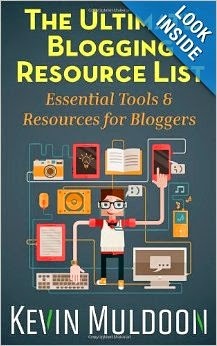 I am sure this book of blogging resources and tools would help a blogger in great deal.